When our own energy is concentrated and channeled, it can move the broader energy currents. The images and objects used in spells are the channels, the vessels through which our power is poured and by which it is shaped. When energy is directed into the images we visualize, it gradually manifests physical form and takes shape in the material world. Posted on November 24, 2015 by ladyoftheabyssPosted in Articles, Daily Posts, WitchcraftTagged broader energy current, change, channeled energy, Energy, energy directed, images, manifest, material world, objects, physical form, Spells, Starhawk, The Spiral Dance, visualize. Establish your need or desire. Doing a spell for the sake of doing a spell is a waste of time and energy. Why trouble the web and the pattern of energy around you if you don’t have to? Compose your spell. It is essential to determine a clear and precisely defined goal. Take the time to think about your desired outcome. Think, too, about the energies you wish to incorporate or call upon to help you achieve that goal. Raise energy and release it toward your goal. Spells are powered by the energies possessed by the correspondences you incorporate in your spell and by your own personal energy as well. Manifestation. Ideally, the final step is the achievement of your goal. Posted on November 6, 2015 by ladyoftheabyssPosted in Articles, Daily Posts, Spellcrafting, WitchcraftTagged Achievement of Goals, Alpha state, Composing Spells, Consciousness, Defined Goal, Desired Outcome, energies, Energy, manifestation, Pattern of Energy, rituals, Spellcrafting, State of Mind, Time, Working Spells. As everything is connected in this fashion, it is possible to have an effect on things simply by twitching the web in one place and allowing the resulting vibration to flow along the web until it reaches your goal. The web is also how we can send energy to someone or something far away from us—the strands of energy that connect all organic and living things serve as wires through which we can send our energy. Posted on November 6, 2015 by ladyoftheabyssPosted in Articles, Daily Posts, Spellcrafting, WitchcraftTagged Energy, organic and living things, personal energy, sending energy, Spells, vibrations, web, web of energy. The October 2015 Energy Report will be published on October 1, 2015. This month I’m doing something different to celebrate the end of September and usher in a new month, which also arrives with a new energy overlay. Over the next 3 days you will find energy exercises here, designed to assist you in grounding, re-centering, and re-purposing your energies, to clear any residue that was brought up during September and release it so you can make the most of October’s expanded potential. This is a grounding exercise I first introduced in 2005 and it is very effective in grounding and balancing energy. With it you bring energy into your body from the earth and the crystalline matrix, combining them to form a protective shield of balanced and grounded light energy. You can use this Energy Grounding Exercise any time you feel you need to re-ground, re-center, when you are feeling afraid, anxious, or need a little bit of extra energy support. Most, if not all of us, who perform rituals and spell work, lead busy and eventful lives. During the day we go to work or school, we run errands, do housework, take care of our families, take care of our pets, deal with our responsibilities that we have in life. We all have stresses, worries, anxieties, regrets, angers, disappointments, frustrations, sorrows that we face. We have our excitements, joys, pleasures, passions, involvements, hopes, dreams, and wishes. All of these different emotions and energies that surround us in our day-to-day lives. At the same time, we are all on our own personal spiritual paths. We have taken upon ourselves to open our minds and gain more knowledge of our chosen religion and belief and faith system. In our practices with rituals and spell casting, we have a knowledge and understanding of the energies we are raising and sending out, however life does go on and with it are the natural ups and downs that we face with our responsibilities as functioning human beings living in the world today. How is it that we can deal with a balance of these energies? How do we manage working with positive energies and focusing on our ritual energies when we have had a stressful or bad or even a wonderful and exciting day? How is it we can separate and have a nice balance of our personal energy with our magickal energy we are working with? Remember, none of these things have to be done at all. But by even just doing one thing suggested here, you may find that your spell and ritual work is more potent because of the little extra boost that these suggestions can add to your experience. At the school we hold rituals online for every Sabbat and every Esbat. We also hold other rituals that your fellow students create for class projects. These rituals are usually done in the evening, and where time zone issues can be a factor, there are things that can be done to help ease your self from “Muggle” life to “Magickal” life. As always, you know when each ritual the school is holding will be, normally, a month in advance. This means you have plenty of time to get the materials you need for the ritual. By immediately gathering things that you need for a ritual ahead of time, you are taking away a lot of the stress and anxiety of being unprepared for the ritual. It also gives you time to charge any new tools you may need or find suitable substitutions for items that are on the list that you do not have. Waiting to the last minute will have you scrambling around to find what you need. You may find you do not have an important element for the ritual or a suitable substitution. You may be working with tools that have an energy that may not be compatible with the work you are doing. This may hinder the desired result. So, you have all the items you need. So what, you come home from work, get dinner, put the kids to bed, walk the dog, set up and do the ritual, right? Sure you could do that. But what about the stress that you had from the workday? The fact you burnt the chicken? You son just dumped baby powder all over the rug? You have a test or a presentation to give tomorrow? You are out of toothpaste? All of these things effect you, effect your emotions, your energy, and in essence your ability to concentrate on your ritual and the magick you are working on. No, it won’t make these things go away, but if you do some pre-ritual preparation it can help you adjust from those stresses and allow them to be put aside for the time being. This way we can focus on what it is that we are doing. There are a number of different ways you can make this transition, the thing is you have to take the time to do it, make the known effort and possibly make adjustments to your schedule. I do understand that due to time limitations and schedules and things that need to be done in every day life may cause obstacles for you. You might feel that you are unable to do these things. The rituals run at 8pm EST, but you live in California, so that makes the ritual start at 5pm PST. You get home at 4:45. You have to fix something to eat for the family or check the kids’ homework first or a million other things. List out what it is that you normally do when you get home. Is it possible to make any adjustments to these things? A typical ritual runs one hour. So, if you get home at 4:30, your ritual begins at 5:00, it is easy to estimate that it will conclude at 6:00 or around there. Can you adjust your schedule so that you check the homework a little bit later? Is it possible that someone else will be willing to make dinner for the family that night or is it possible to create the meal the day before so it just needs a few minutes to heat up? Is it possible to get off work a little early that day? We are talking about something that we do once or twice a month. Is it a lot to ask for one hour from your families to pursue this? Many people share computer space with other members of the family, so you may not be able to use your computer desk as a permanent personal and sacred space. If this is the case, since you know when the ritual is going to be, gather your tools the night before the ritual to make sure you have every thing you need. If you can have them set up the night the before and you know they will be undisturbed, by all means get your space ready and set up. This makes it one less thing you need to worry about. If you cannot have it set up the night before, then bring your tools into the room where you will be having it. It is good to keep them in a container so that people know that this is for something specific and not to move or mess with it. Keep it in the area where you will be having the ritual. Now, as you know when we have the online rituals I ask that you join the room no later than fifteen minutes before the actual ritual begins. Just because you are logged into the chat room does not mean you have to be sitting at your computer. So when you get home, set up your space, log into the chat room. I usually open the chat room an hour before the ritual is to take place. You now have your tools set up. Ready to start the ritual? No, not yet. One aspect of pre ritual preparation that we hear of a lot, but many do not incorporate is the pre-ritual bath. Now many people might say, especially if they are the ones getting home at 4:30 and only have 30 minutes or less before the ritual, I am not going to spend the time to draw a bath! Now why is it that ritual baths and rituals showers are important before a ritual? What purpose do these activities accomplish? What all is involved in a ritual bath or shower? When we hear these words, the images that usually pop into mind are, for a bath a long relaxing lounge in bubbles with maybe some candles maybe some music playing. A shower is usually considered something quick, cleansing your body fast and efficient. A ritual bath and ritual shower are not about physically cleaning yourself. The purpose of a ritual bath or shower is to remove negative energy from you and to put you in the proper mindset before a ritual. Now this can also be done simply by using sage incense to smudge yourself, however where this is a fast and simple quick fix, it may not be enough. The element of water is in tune with our emotions. It can be an amplifier for your emotions and it can be soothing to them as well. After a long day where maybe you had a rough day at the office, maybe you got a nasty call from a bill collector, you daughter’s teacher called you and she is failing math, your sister’s water just broke and is off to have her first child, you have a hot date tomorrow night. All of these things are running in your mind. With all of this built up energy, how might it affect your magickal work? Taking a bath or a shower is relaxing. Allowing the water to carry some of that excess energy away from your system. When you add other elements to it, you can purify and cleanse your energies to prepare you to do what magickal work that you have planned. For a bath, I would recommend adding salt to the water. You can use something as simple as table salt or use sea salt. However, for this type of thing I would not suggest bath salts that are commercially made or bath beads or bubbles. To purify, just water and salt is all you need. If you feel that your energy needs a positive or protective boost I would add a 1/4 to a 1/2 a cup of apple cider vinegar. This helps cleanse and balance the aura. You would put these elements into the bath as you are running the water to help disperse the energies. Next, think of the type of ritual you will be doing. What sort of energies are you going to be working with? Check your correspondence charts for proper oils, stones, incense, even music that might help aid in the energies you are planning on raising. For instance, if we are doing a ritual to help increase your psychic abilities, I know that lavender and amethyst both help aid in this. I also know that the color purple promotes strengthening your psychic abilities. So, for my bath I would light some purple candles, light some lavender incense, put some amethyst stones into the bath water, and then once my bath is completely ready I would drop in a few drops of lavender essential oil. I would then soak for no less than ten minutes. Allowing myself to relax. Breathing in the scents, absorbing the energies, meditating on opening my Third Eye Chakra. This can also be done for a shower. If you can close the drain, do so. Gathering the water in the bottom as you shower. Again place the salt, vinegar, oil, stones that you are going to use to aide you in the energy that you need to bring in. Also, get a washcloth, and create a bundle. In the bundle put the salt and some of the essential oil that you are planning on using, and then using the base of the bundle you have created scrub yourself. Focusing on the energies you are removing and on the energies you are bringing in. Now we have finished with our bath or shower and have dried off. Next what is it we should be wearing? Depending on your personal tradition, you might choose to practice skyclad. However, there are times when skyclad may not be appropriate. Having ritual wear is not mandatory, however it is a way you can prepare yourself for what it is you are going to do. Our clothes that we wear from day to day also attract energies. Also, remember, colors have specific energies as well. When you are doing magickal work it is good to make sure that all the energies you are working with are in sync. Taking the time to wear something special for your ritual work also puts you in a more relaxed and proper state of mind. Removing the “Muggle” clothing, as it were, into your ritual robes is a ritual all unto itself. I have created not only my ritual robes, but I also have specific jewelry that I wear only for ritual work. I also have created slippers for my ritual work. Many of us may like to go around barefoot, but there are times when we may need the protection. Deciding on ritual wear doesn’t have to be extravagant. If you can afford a bulky medieval costume and feel comfortable with it, then by all means wear it, or if you find a simple cotton nightdress that you like, then by all means use that. One thing I will mention about ritual wear, proper care and storage is important. Our ritual wear is part of our magickal tools. Just as your athame or wand or incense, it is to be respected and cared for. Also, just as you would with any ritual tool, you should charge it with energy and consecrate it. We will discuss more on ritual wear in another discussion. When putting on your ritual wear, don’t just throw it on, take your time and focus on each item you are putting on, and what it represents to you. Feel your own transformation from the busy executive or housewife into a practitioner of magick. Now you are ready to sit down and perform your ritual. Now, before I end, please note, that these are not the only ways of preparing yourself before a ritual. When you understand the different correspondences, the different vibrations that certain colors, scents, stones, foods and music give off, you can incorporate it all in your entire day. Wear colors that promote the energy that you are going to be raising during the day, even if it is just one item in the color. Wear a scent that will draw the energies to you. Wear or carry gems or stones. If you do daily devotions, focus on the deities that will help you create that energy. Also, your whole day can reflect the energy you are going to be raising that evening. If you can find ways that are appropriate, do it, try it. One of my favorite things, as I am a Kitchen Witch is to eat foods that might be known to assist with the energy I am planning on working with. I usually plan a menu for a special dinner around it, but also I do start in the morning with breakfast and through out the day I try to think of what the energy is I am going to work with and what things I can eat that will add to it. This is why I make you create so many charts here at the school. When you understand your correspondence charts; know the colors, numbers, symbols, herbs, foods, drinks, teas, deities, times of the day, when you have this information, why not use it to your advantage? Now let me give you an example of a day of preparation for me that I would do. Keep in mind I am a stay at home mom, so I do know that what I do may not work with your own personal schedule, I am just giving you an idea to help you come up with your own plan. I know that purple is a color that I associate with psychic awareness. So, I would wear my purple shirt or add a purple scarf to my clothes, or even wear purple underwear. I know that the Third Eye Chakra is used when working with your psychic abilities. So during the day I would do meditations and exercises that I know help open and balance the Third Eye Chakra. I know that the number 7 is associated with psychic energy, so maybe during the day I would do things in 7’s or possibly I would have a snack of 7 slices of apple. Speaking of foods, I know that dandelion leaves, grapes, olives, lavender, beans, cheese, eggs, tea, anise, cloves, marigold, onion, peppermint, yarrow, cinnamon, poppy, saffron, thyme, celery, rosemary, chamomile, corn, lettuce, among other things can help promote psychic abilities. So I can choose recipes and plan my meals using some of these items. I know amethyst is a gem associated with divination and psychic abilities. So I would wear jewelry that has this stone in it. I know that the runic symbol Laguz; the planetary symbols of the Moon, Neptune and Pluto; symbols of the Dark moon, spirals in the Deosil direction, representations of the Moon, the ocean, the pentacle, the rainbow, the scales, spirals, the Waning Crescent Moon, and the wind also help with this purpose. I can put these images on the candles I will be using for my ritual, when I put on my scent, maybe draw the pattern, visualize the symbols during meditation, carve them into the food, trace the pattern as you stir something, or how about a snack? Take a piece of bread, and using a squeezable bottle of grape jelly draw the pattern onto the bread? I know that lavender is associated with this, so I would possibly burn lavender incense during the day, or put a little lavender EO on my wrist. Maybe pick some fresh lavender and bring it into the home. Prepare my ritual space in advance. Create a special meal for my family that uses the ingredients, numbers, and symbols that I know will help enhance my psychic abilities. Take time during the day for reflection and meditate on Selene and Pan or other deities who are associated with divination and psychic abilities. Research psychic abilities and new forms of divination. Take a pre ritual bath with salt, lavender oil, amethyst crystals, lavender incense and purple candles. When you put your mind set into what it is you are planning on raising, energy wise, you will find that not only does it add to your entire experience, it transforms the entire day into a magickal day. Our magick doesn’t have to be only on Sabbats or Esbats. Our magick doesn’t have to only be practiced at the main altar you have set up. Magick can be done all day, every day. These tips and ideas don’t have to be only done pre-ritual. You can incorporate these things into just about any part of your life. It is simply deciding to take the effort to do so. Have your items in advance. Make sure your tools are ready for your work before the ritual is to take place. Try to give yourself time to prepare yourself for your ritual. Take a pre-ritual bath or shower to help balance your energies and use tools to help increase the energies you are going to be working with. Put on your ritual wear. During your day, incorporate the elements or theme of the ritual into what you wear, what you eat, and what you do. Even if you just take the time to do one little extra thing, you will very likely notice the difference in your magickal work. If you start doing this in your everyday life, you may find it a bit more magickal. Posted on September 13, 2015 by ladyoftheabyssPosted in Articles, Daily PostsTagged energies, Energy. 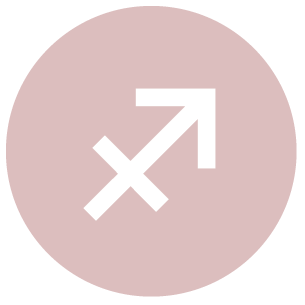 It’s natural to feel a little more energetic and spontaneous today than you usually are, dear Aries, with the Moon in your sign and your ruler, Mars, just coming away from a conjunction to Venus. You are quick to pick up on what is expected of you today, and yet you are marching to your own inner “drummer”, managing to nevertheless take the lead and own it. Emotions are immediate and at the surface, but you seem to be setting the pace for the most part now, and it can feel good to be in control and on top of things. 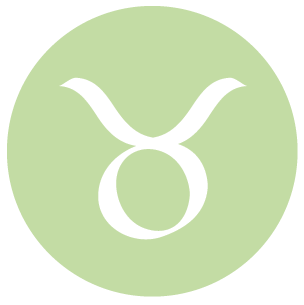 You are absorbing energies around you in a more introverted manner than usual today, dear Taurus, and you stand to learn quite a bit from observation today with the Moon in Aries, the sign just behind yours. 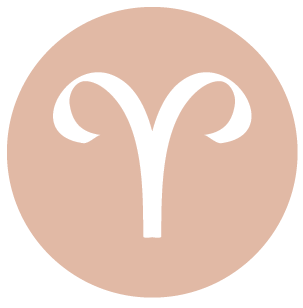 You will quite naturally come out of your shell again when the Moon enters Taurus tomorrow morning, but for now, sticking with quiet activities, if possible, is most helpful emotionally. Let your intuition work for you. This is not a time when you’re especially forthcoming or expressive with your feelings, as you can be a little guarded, but it’s also a time when you are processing recent experiences, and it can take a bit of time to get in touch with your innermost feelings. Today brings a stronger desire to be around people, dear Gemini. Common philosophies, beliefs, or goals are apparent now, perhaps because you’re seeking them out. You’re also looking to gently push the usual boundaries and seeking out different experiences. Your more inventive, innovative, and perhaps rebellious side can emerge now. While this is sociable energy that’s with you today, the month ahead brings a stronger desire to reconnect with family, home life, or your inner world. 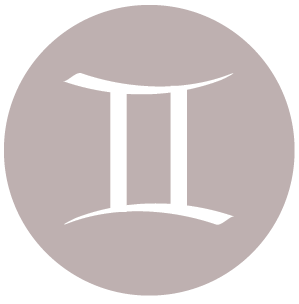 You may be feeling very much in charge today, dear Cancer, and even if you don’t, you’ll need to at least act like you feel that way! Responsibilities have a way of presenting themselves loud and clear today. The Moon is highlighting your career and reputation sector, and will continue to do so until tomorrow morning. If you feel things heating up in your career or your public life, you’re very much in tune. Do whatever you can to present yourself in the most professional and competent of manners now. Good energy is with you for putting things into perspective and for feeling positive about the future, dear Leo. This is a strong day for identifying problems in your life and visualizing life as it would be after putting these things behind you. While there is definitely a time for concentrating on details, today you need to take a step back in order to see the bigger picture. Step out of your regular routine in order to refresh yourself emotionally. You are learning to trust your intuition and imagination when it comes to spiritual matters recently, and today this is emphasized. 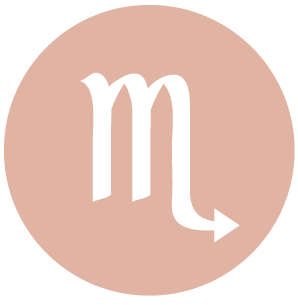 After a few days of wearing your emotions on your sleeve, dear Virgo, emotions are internalized today. You could find that you’re honing in on the more hidden elements of life, looking for motives and deeper meaning. If you’re feeling a little insecure or have unresolved issues to deal with, you could find that your mind turns to matters revolving around old hurts, inequalities, and unfair scenarios. Matters of ownership can be in stronger focus now. Don’t fight the urge to go inward, but remember that you can choose to make this a positive experience. 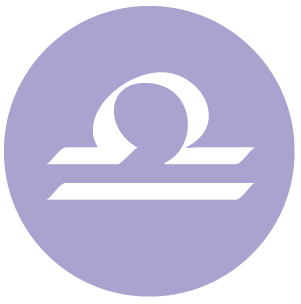 With the Moon in your opposite sign all day, dear Libra, you may be looking to others for emotional stimulation or security today. Being emotionally sensitive to others can go both ways – you are caring more than usual about what they are feeling about you, but you’re also more adaptable and willing to compromise. Using this sensitivity in positive ways can be rewarding now. You may be turning to someone else for advice or simply company. Try to take a breather from heavy emotions or emotional excitement. Fortunately, the month ahead supports efforts to get away and rest more than most. 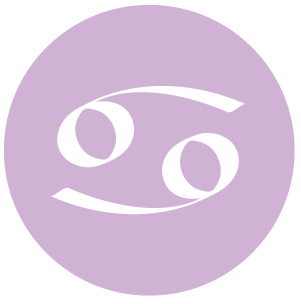 Emotional satisfaction comes from making yourself useful today, dear Scorpio, which can come as a nice change after many days focusing on relationships and social matters. The monotony of the routine, however, is not what you’re seeking, so it may be a good idea to do new things or combine play and work to keep you engaged. Energy is variable, and you might discover that it’s more about motivation than physical matters. If you’re lacking confidence in what you’re doing or where you’re headed, then you may steer off course a little. Fortunately, the month ahead is likely to be especially strong for inspiration and new ideas. 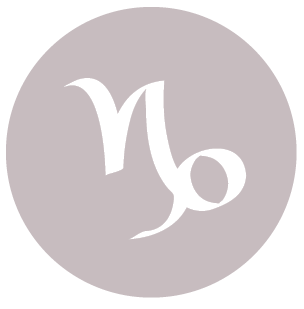 The playful energies of the day are pronounced, dear Sagittarius, and possibly come as a nice relief. With others, you manage to be conciliatory and dynamic at once, and this is a difficult and wonderful balance to achieve. You are generous with your time and energy today, and you’re coming across as magnetic and expressive. Love relationships and/or friendships are not especially clear right now, but perhaps they don’t need to be at the moment. Enjoy yourself by going with the flow now. 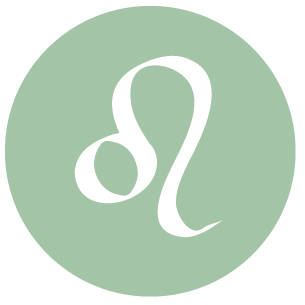 The month ahead should be an energizing one for you, dear Capricorn. Powerful energy is brought to your solar ninth house, and this brings out your curious and adventurous side. Today, however, you’re more content to stick with familiar things, people, and methods. Avoid the temptation to jump into something new when there are very valuable projects in progress that you can restore or tweak. Early day intensity and dramatics tend to settle as the day moves forward, after which you’ll find yourself intuiting your way through whatever you do. 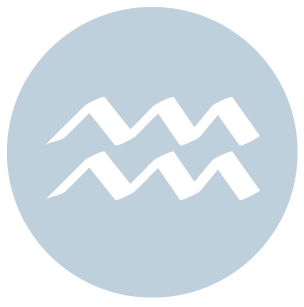 You are especially alert today, dear Aquarius, as well as insatiably curious about what’s going on around you. You are likely to be in the mood for idle chit chat, making connections, and sharing small yet important stories from your day with others. While it may not be the best day for concentration, you can be productive if you put your mind to it, and if you vary up your routine. Focus is on sharing and interacting more than anything, so working on a communications project can be especially successful right now. 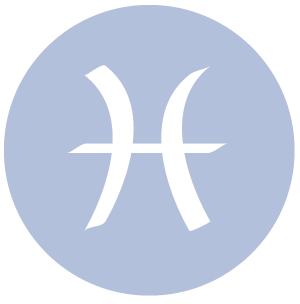 You are in a more practical frame of mind today, dear Pisces, but you are also quite innovative, able to bring new energy to the material world. Emotions are settling today. Although they’re still exciting, emotions are steady enough to allow you to relax and enjoy the moment. Earthy, grounding, and comforting activities are most helpful now, and happen to be what you’re most drawn to at the moment. You may be craving physical comforts, and can be a little more possessive or self-centered today, which can be a good thing in moderation from time to time. Posted on August 31, 2015 by ladyoftheabyssPosted in Articles, Daily PostsTagged Daily Horoscopes, Energy. This can be a very confusing energy. You will be very sensitive to others and their needs and how they relate to your own. You may want to withdraw or not voice your opinion just to avoid conflict, feeling like it wouldn’t solve anything anyway. However, do not give in to the temptation of being “slick” either, that will only bring more challenges your way. You may want to give in to another person’s demands when you have a valid reason not to. Avoid playing the victim. Be honest and up-front with anyone demanding a confrontation at this time, that you would rather gather your thoughts and discuss things later (by then this energy will have passed) when you can articulate your side of things better. Be aware of deception – both on your part and/or the part of others (trying to deceive you). Your discernment is not its strongest under this influence so it is best to be still and quiet until the energy passes. Take this time to do some spiritual, inner work. This energy makes you want to get things done, by any means necessary and you may tend to come on a little strong – but it’s all good. The work you want to do, is work that needs to be done and in doing it and facing things head-on, you will gain insights about yourself you can apply in the future. 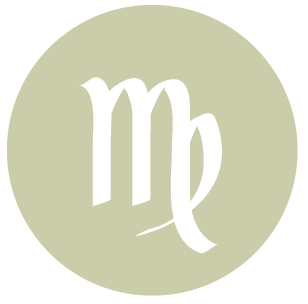 This intense and powerful energy is transformative in nature and will provoke you to think deeply about your life; what you need, desire and deserve. You may find that some aspects of your life need to be reformed or released – go for it – this energy makes reform and release easier than usual. It’s a good time to make an impression or an impact on others, but be sure to keep it on the Highest level possible. Any actions or statements used to manipulate others for selfish gain WILL backfire on you in a big way. This is a positive, uplifting, transformative energy – use it as such to clear the debris and create the life you were born to live. Posted on August 31, 2015 by ladyoftheabyssPosted in Articles, Daily PostsTagged Energy. Posted on August 24, 2015 by ladyoftheabyssPosted in Articles, Daily PostsTagged conversations, Energy, Mercury.